While cleaning the chicken coop yesterday, I noticed that I had a lot more creatures living in the coop than my 7 chickens. 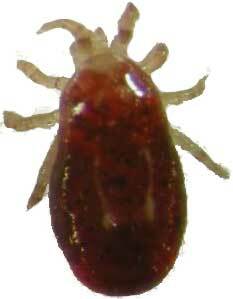 Although they are called Red Mites, they are only red once they have been feeding on the chickens blood over night. With out having a full belly of chickens blood they are more translucent grey’ish colour. I have dusted the nesting box with Diatom and have sprayed a disinfectant inside of the coop, making sure that, I got it in all the nooks and crannies. I will spray the inside of the coop again this evening.